Are you looking for some family activities this weekend? Check these out, courtesy of Visit Milwaukee. MILWAUKEE — If you have family coming to Milwaukee this weekend, be sure to check out these events, courtesy of Claire Koenig, the communications manager for Visit Milwaukee. See the Pabst Mansion decorations against the moonlight Friday night. It is the best way to see Capt. Frederick Pabst’s house, and it’s all set to live music. Have tea at Schuster Mansion or the Pfister. It is not a holiday tradition, but a little high tea never hurt anyone. Head to the Basilica for "Handel's Messiah," performed by the Milwaukee Symphony Orchestra. The acoustics are ideal for the symphony. Milwaukee Chamber Theatre’s "Christmas in Babylon," which was written by a Wisconsin playwright, features a working-class Long Island family whose world is thrown into disarray with the reappearance of the father figure’s ex-fiancee. 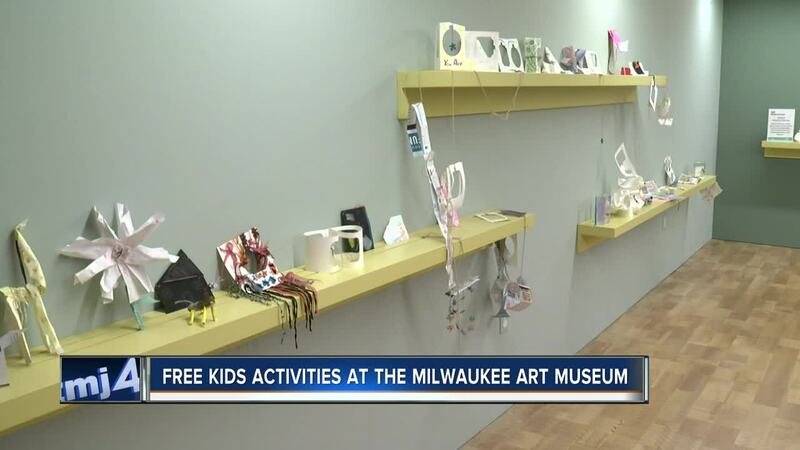 There are plenty of free kids activities at the Milwaukee Art Museum during winter break in the Kohl’s Art Generation studio. Admission for children 12 and under is free, and activities in the Kohl’s Art studio are always free. Be sure to check out Key Milwaukee Magazine’s website because it has rounded up the holiday hours at the city’s biggest attractions.